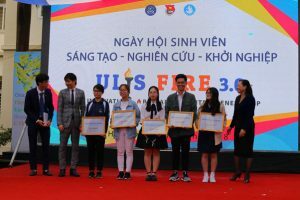 On April 6th, 2018, the University of Languages and International Studies – Vietnam National University, Hanoi (ULIS-VNU) organized the 2018 Student’s Day “Creativity – Research – Entrepreneurship” (F.I.R.E 3). This activity is held annually in order to stimulate and develop students’ interest in scientific research, entrepreneurship and Creativity. The event was attended by Assoc. 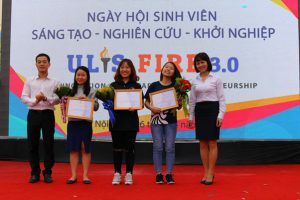 Prof. Dr. Ngo Minh Thuy, ULIS’s Vice President and representatives of departments, lecturers and students, Hanoi Youth Union, VNU, universities under VNU, sponsors and partners. Addressing at the event, Assoc. 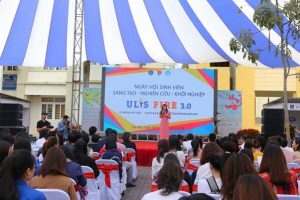 Prof. Dr. Thuy, Head of the organization board, confirmed that ULIS always paid attention to students’ scientific research and entrepreneurship. 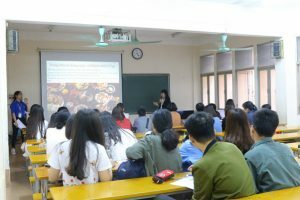 The event was an opportunity for students to develop their potential and an intellectual playground where they could exchange and share experiences in study and research. This was also a chance for them to show their creativity and spirit of “dare to think, dare to act” while studying in a high-quality academic environment as ULIS. The Vice President praised the spirit of learning, scientific research enthusiasm, creativity and passion of the students. In the event, there were ebullient reporting activities at eight subcommittees. There have been 55 reports presented, focusing on a wide range of topics such as linguistics, country studies, sociology, education, psychology, teaching method, translation, etc. Many topics also reflected thinking and exploration with community-oriented insights such as the impact of video games on the concentration of students, increasing the autonomy at higher education. 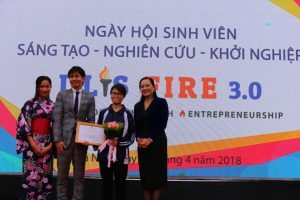 In addition, the event also included some prominent activities such as talk show about career and start-up, book introduction, exhibition “the Road of Science”, the finale of Student’s Entrepreneurship Idea. Student camps with cultural performances, sales activities also rejuvenated the event’s atmosphere. ULIS’s clubs and faculties have been very enthusiastic in expressing their unique colors. 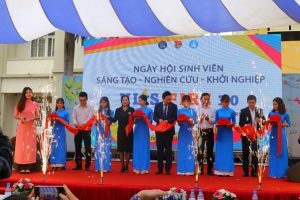 The 2018 Student’s Day “Creativity – Research – Entrepreneurship” was successfully organized. After lively reports, the organizers awarded 5 first prizes, 10 second prizes, 10 third prizes and 10 consolation prizes for the best reports. At the same time, prizes for the best research topic, the best lecture, the CLC start-up, faculty with the most creative camp have been bestowed to the right owners.